Written by industry experts, this book aims to provide you with an understanding of how to design and work with wearable sensors. 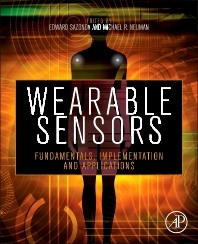 Together these insights provide the first single source of information on wearable sensors that would be a valuable addition to the library of any engineer interested in this field. Wearable Sensors covers a wide variety of topics associated with the development and application of various wearable sensors. It also provides an overview and coherent summary of many aspects of current wearable sensor technology. Both industry professionals and academic researchers will benefit from this comprehensive reference which contains the most up-to-date information on the advancement of lightweight hardware, energy harvesting, signal processing, and wireless communications and networks. Practical problems with smart fabrics, biomonitoring and health informatics are all addressed, plus end user centric design, ethical and safety issues. Provides the first comprehensive resource of all currently used wearable devices in an accessible and structured manner. Helps engineers manufacture wearable devices with information on current technologies, with a focus on end user needs and recycling requirements. Combines the expertise of professionals and academics in one practical and applied source. Practicing engineers in the area of medical and wearable devices, academic researchers and graduate students. 2 Why Do Wearable Sensors Need Algorithms? 3 What are Wearable Algorithms? 2 Why Use the Tongue for Wearable Technology? 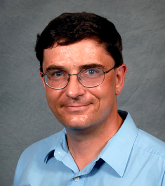 Edward Sazonov is an Associate Professor in the department of Electrical and Computer Engineering at the University of Alabama, Tuscaloosa, AL, USA and the head of the Computer Laboratory of Ambient and Wearable Systems (http://claws.eng.ua.edu). Wearable devices developed in his laboratory include an accurate physical activity and gait monitor integrated into a shoe insole (SmartStep); a wearable sensor for objective detection and characterization of food intake (AIM); a wearable sensor system for monitoring of cigarette smoking (PACT); sensor systems for early diagnosis of risk of falling in elderly (ALARM) and others. His research has been supported by the National Science Foundation, National Institutes of Health, National Academies of Science, as well as by state agencies and private industry. Department of Electrical and Computer Engineering, University of Alabama, USA.